A little more than ten days left for the tech giant Apple’s keynote, and now it seems that something that we practically took for granted of the new device of the company of Cupertino could change. Yes, Apple’s next flagship is the iPhone X, not the iPhone 8. A little more than ten days left for the tech giant Apple’s keynote, it seems that something that we practically took for granted of the new device of the company of Cupertino could change. 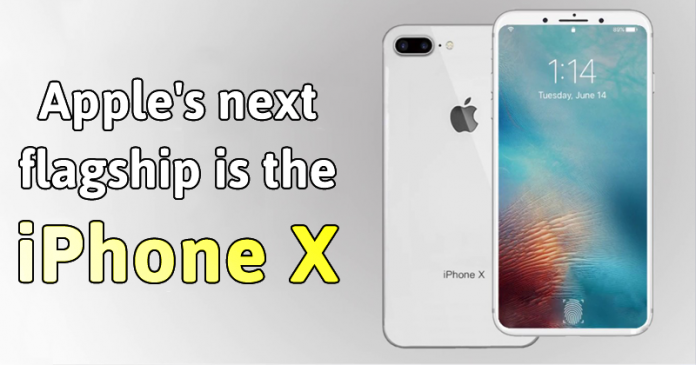 According to the reliable sources close to the tech giant Apple, the tenth-anniversary smartphone may not be called iPhone 8, yes, it would be known as iPhone X. In recent months, the rumors and leaks related to the tech giant Apple’s new mobile phone have not ceased, and we have heard of everything. In addition to its features and specifications, another of the big questions has been the name that the company was planning to give this premium model. There are several options: in the first moments we talked about iPhone X, after iPhone Edition, some believed that it would be iPhone Pro, but finally, the name that has been used has been the iPhone 8. However, this new filter denies and says that the official name is iPhone X. However, the web media iCulture is a reliable medium that in the past has already succeeded in its forecasts related to the products of the company of Cupertino. The new details come from the same source that correctly predicted the 10.5-inch iPad Pro and its release date, so it is valuable information. According to a person, who works for a global telecommunications provider, the new flagship 5.8 inches iPhone would definitely be called iPhone X. The source claims that last Thursday the management team of the company in which he works met with Apple to discuss the launch of the new devices. In this meeting, in addition to the name of the premium device, also learned that the smartphones we knew so far as iPhone 7S and 7S Plus will actually be called iPhone 8 and 8 Plus. On the other hand, the meeting would also have discussed the availability of the devices: according to the source, in the countries of the first wave, among which would be Holland, the reserve would start on September 15 and delivery would occur starting on 22nd September. So, what do you think about this new leak? Simply share your views and thoughts in the comment section below.